Change of season is near, which means new ILNP collections are coming, yayyy! 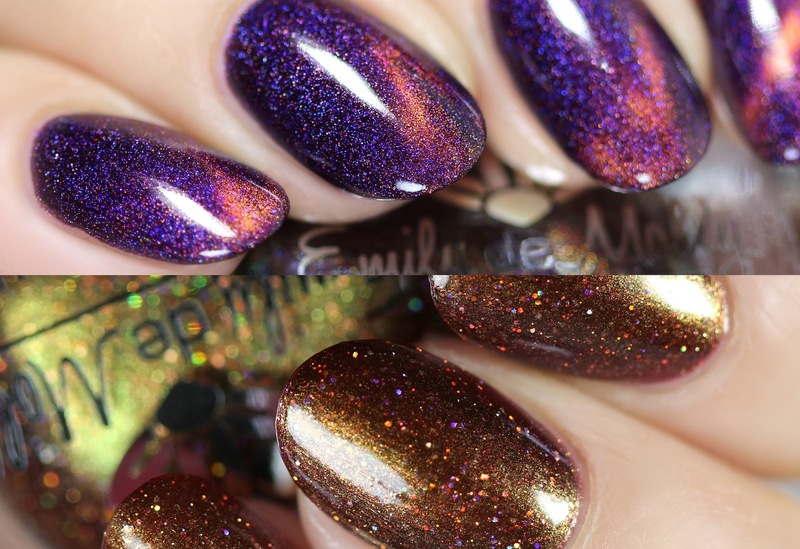 We have the dark and vampy Equinox collection, and the softer yet very exciting Southwest Sunset collection. As usual, I did some comparison swatches, but I don't have every ILNP shade, so I could only compare with the ones I have, the ones I thought looked similar or could be a great way to understand the color/tone. There were two polishes from the Emily de Molly July release that I couldn't resist, and I ordered them from Color4Nails. The full linear holo collection from Live.Love.Polish is called Sunkissed and it's the perfect collection for Summer! These have an amazing holo flame, a lot stronger than my swatches show. Potion Polish is releasing two stunning deep shades tomorrow, this is The Wild duo! Maria from SoNailicious offered me a couple of her nail stickers that she sells on her weshop, today I'm going to show you the manicures I created with them.